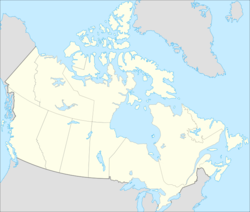 Canada is a country that sits atop the continent of North America and extends from the North Pole to the Point Pelee National Park, the southernmost part of mainland Canada. Point Pelee is on a peninsula which juts out into Lake Erie Canada borders the United States both to the south and to the north-west where it has a border with the state of Alaska. Canada has a maritime border with the Greenland province of Denmark and Canada has accepted the concept of a 200-mile exclusive economic zone (EEZ) to protect its right to resources out to 200 miles from the mainland. Creation Science Association of Saskatchewan Inc. This page was last modified on 11 March 2017, at 10:13.